Industrial designers are great. This concept is great. Every so often you see a design and think, wow why has that not been done before. Not sure, but this concept is great. Drop, crawl and wait for chopper to lower safety rig. 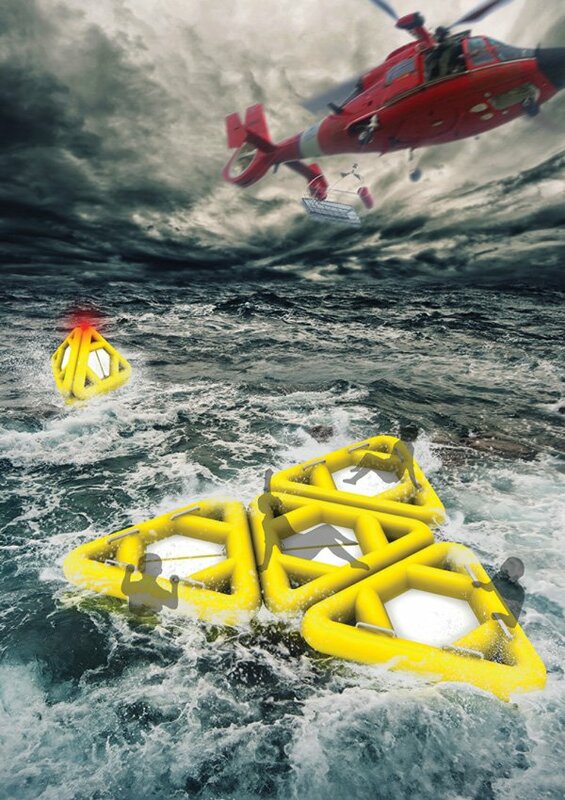 Life Triangle is a life raft featuring a multi-directional triangular shape so that it doesn't capsize easily. Apparently the triangular structure prevents the raft from turning over, a fear often associated with smaller rafts. The boat involves automatic inflation and features a movable signal light containing GPS technology.